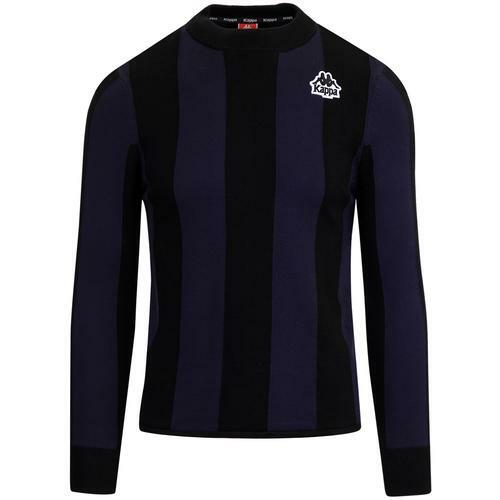 Madcap England 'Columbia' Men's 1960s Mod stripe panel Mock Turtleneck jumper in navy with Retro Breton shoulder button detail. Conjuring up images of 1960s Small Faces style, the 'Columbia' jumper fuses elements of Madcap England's own 'Marriott' button through polo cardigan and the 'Racing Coleridge' jumper. 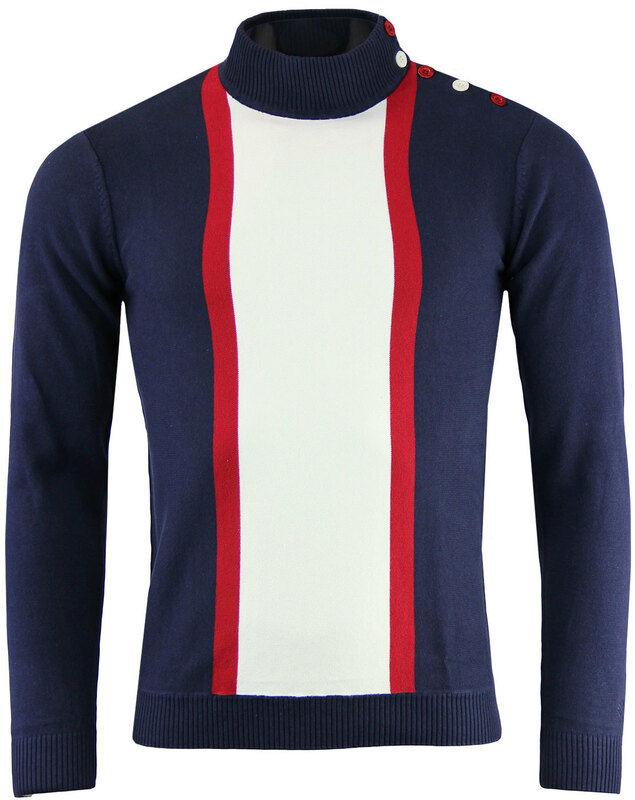 A stand out Mod Clothing classic, the 'Columbia' stripe panel jumper by Madcap England. - Madcap England Men's 1960s Mod Mock Turtleneck Jumper. 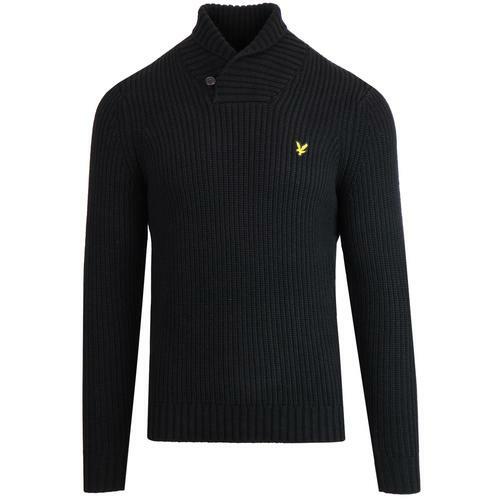 - Ribbed Retro collar, cuffs and hem. - Alternating shoulder button details for a Vintage Breton Jumper look. - Navy main body with striking Retro red braces stripes and winter white centre panel. 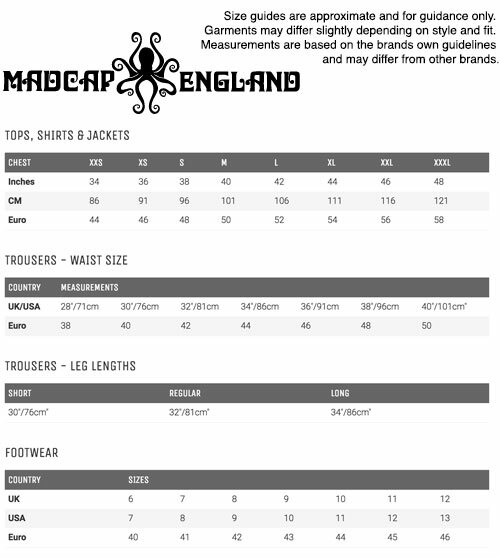 - Madcap England signature embroidery to lower left sleeve. - Signature buttons in red and winter white. 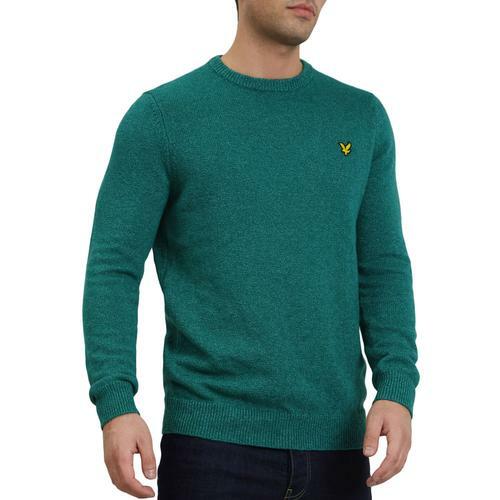 - Fine gauge knitted cotton fabric. - Fashion stitch shoulders add to the classic 1960s Mod vibe. 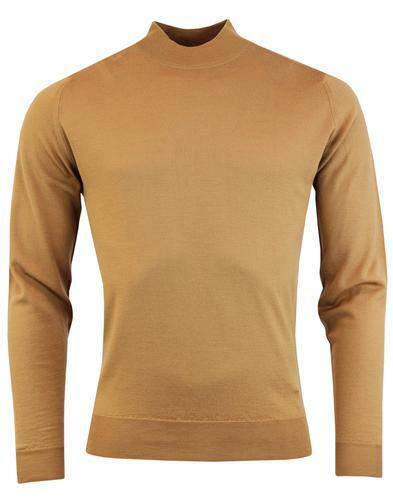 SKU: MC295 Columbia Mock Turtleneck.